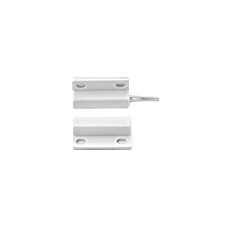 This Konnected door or hatch sensor is a magnetic switch encased in an ABS plastic shell. Intrusion is signaled when a door or window is opened more than ½”. These contacts are perfect for difficult to reach places and applications where aesthetics and small size are important.